Pakistan is bracing for a "tough time" and may have to seek even "deeper" ties with China and Russia to offset any fallout from the Trump administration's new Afghan strategy, according to a media report. Trump is set to announce the much-awaited new strategy for war-torn Afghanistan tonight local time (tomorrow morning in South Asia). Reports have said the Trump administration looked into possibilities of a role for India during its policy review and US Defence Secretary Jim Mattis yesterday confirmed that the new policy was a full "South Asia strategy." In a report, The Express Tribune quoted at least two "senior officials familiar with the plan" that Pakistan was contemplating various options to offset any fallout from the new Afghan strategy. The report said officials in Pakistan admitted that given the signals coming from Washington, Islamabad's patience would certainly be tested in the coming months. In the event of any extreme US measures, one official told the daily, Pakistan would be left with "no option but to seek even deeper and enhanced cooperation" with China and Russia. Pakistan and China share an "all weather ties". Leaders of the two countries have called the relationship as that of "iron brothers". Their cooperation have moved upwards after Beijing announced the 'One Belt, One Road' (OBOR) initiative a few years ago. A part of the ambitious initiative, the USD 50 billion China-Pakistan Economic Corridor (CPEC) runs through Pakistan-occupied Kashmir. 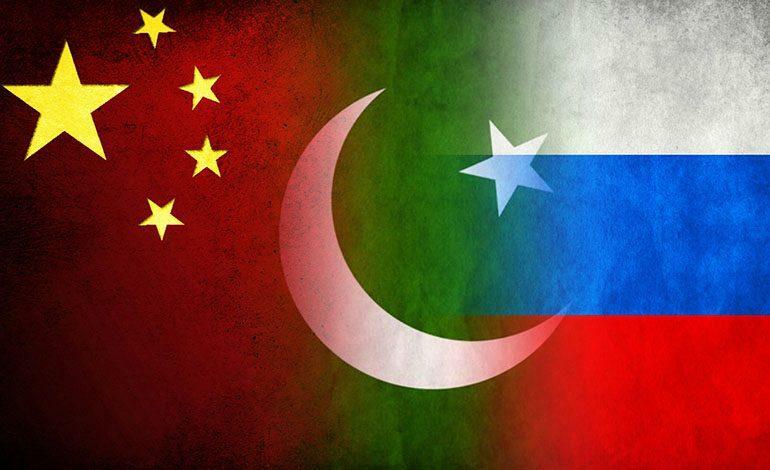 Pakistan's ties with Russia also appeared to have moved past the bitter Cold War hostilities, the report claimed. "If the US does not consider our legitimate concerns and just toes India's line, then we will certainly move closer to China and Russia," the official said, referring to Pakistan's first "contingency plan." The new US strategy for Afghanistan is likely to seek tough measures against Pakistan to persuade it to break its nexus with some militant groups including the Haqqani Network. A series of recent developments including statements from senior Trump administration officials suggested that consensus was emerging in Washington to talk tough with Pakistan. A report in 'Foreign Policy' magazine claimed that Trump was mulling cutting off all military aid to Pakistan because he believes "Washington is being ripped off by Islamabad". Pakistani officials, however, believe the US' approach seemed to be aimed at "keeping us on our toes and under pressure". "Given the signals we are getting, we don't expect anything positive in the new Afghan strategy," said the official, who requested his identity be withheld because of the sensitivity of the issue. "Because of Trump's lack of experience in dealing with delicate strategic and foreign policy issues, certain elements are taking advantage of his naivety," the official said. Pakistan's emphasis has been on avoiding force and on the need for peace talks to end the stalemate in Afghanistan. But Trump administration is reportedly looking to send additional troops to the war-torn country. "What difference can 4,000 to 5,000 additional troops make," another official said. The US has consistently asked Pakistan to not allow its soil against its neighbours. US Central Command chief General Joseph Votel, who visited Pakistan recently, repeated the demand in a meeting wiyl Islamabad's top civil and military leadership. Policymakers in Islamabad and Rawalpindi were also upset by Washington's recent decision to declare Hizbul Mujahideen a terrorist outfit. The Foreign Office publically spoke about it, calling the move "unjustified" and "disappointing".